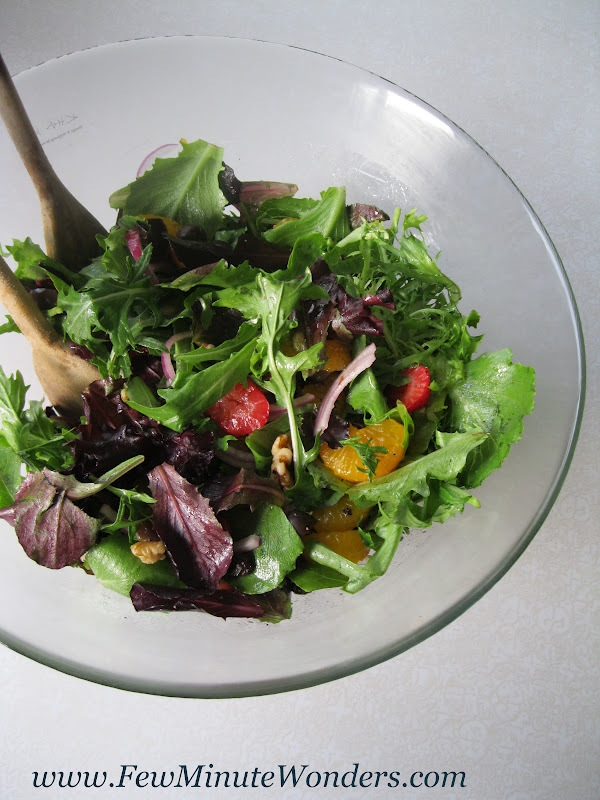 This salad has evolved over the last 7 years until I finally got it right. It never lets me down no matter what changes I make to the ingredients. the taste is simple, has a sweet and salty taste to it, very tasty, addictive for me, very fresh and a knock out. It earned me a certificate "good cook" from my 7 yr nephew. 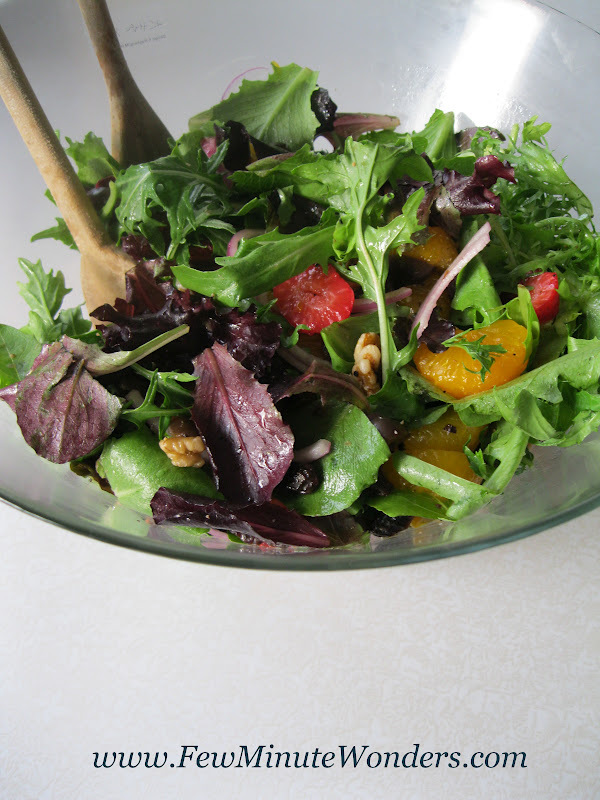 What I like about this salad is you can prepare it with what you have at home in your pantry and fridge. Its healthy, has no dressing,can control the salt if you have an issue and can add dressing if you want. Mandarin oranges - 1 tin or use fresh navel oranges segmented. Any fruit like mango, pine apple, pear, plums, peaches, apple, strawberry, raspberry, blueberry, blackberry,pomegranate's etc 1/2 cup. EVOO (extra virgin olive oil) - 2 tsp. Note: Please feel free to add ingredients that you like and remove those you don't from the list above. The only ingredient I would watch out for is the red onions. Please do stay low on it else it gets too pungent depending on the kind you use. 1.Wash the veggies and fruits that you are going to use and try to keep them dry when working on the cutting board to keep excess water entering the salad. 2. Cut the veggies and fruits and mix them in a bowl. 3. Add salt (sea salt is wonderful), pepper and olive oil before you serve to keep them crisp. 4. It is great with a pasta, bread or pizza as a side dish. This is similar to what I often do for dressings... just a bit of olive oil and away you go!